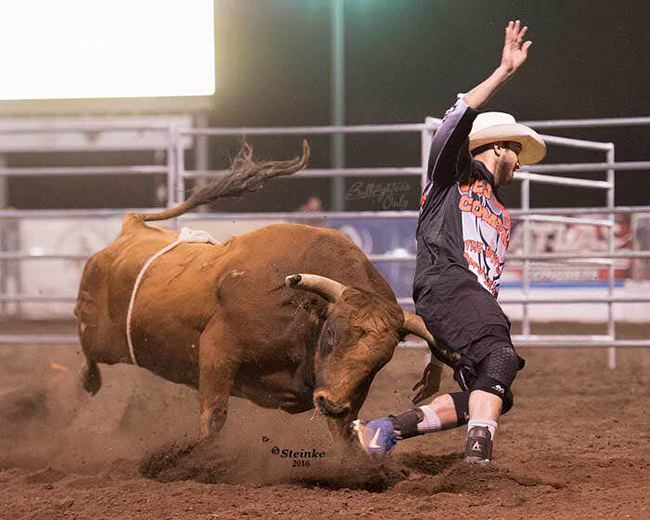 LAS VEGAS – Darrell Diefenbach may have hung up his cleats but when he saw an opportunity to be involved in Bullfighters Only, he jumped at it. Deifenbach has been face to face with some of the nastiest bucking bulls in rodeo, but now he’s in the fighting bull business. He and his partners – Maunel Costa and Trever Hamsher – have some of the best. Only the best will be in Las Vegas. They will be one of the premier stock contractors during the Bullfighters Only’s Las Vegas Championships, set for Dec. 1-3 and 7-10. “Bullfighters Only speaks for itself,” said Diefenbach, an Australian turned American, now living in Hermiston, Ore. “It’s taken off by leaps and bounds. I love extreme sports, and I have seen the way extreme sports have taken off. It’s either a heck of a wreck or a whale of a score, and that is a driving force behind both extreme sports fans and rodeo fans alike. It’s what’s attractive about having Bullfighters Only as part of the Las Vegas landscape in early December. In a man-vs.-beast competition, the bulls have a lot of say in what happens inside the pen. With scores based on a 100-point scale, men can earn up to 50 points per fight based on their ability to exhibit control and style while maneuvering around or over an animal; a bull can earn up to 50 points based on its quickness, aggression and willingness to stay with the bullfighter. The festivities kick off at 2 p.m. Dec. 1st at the Las Vegas Convention Center with the BFO Roughy Cup, a 12-man invitational bullfight. Then on Dec. 2-3, up-and-coming bullfighters will battle to qualify for the BFO Las Vegas Championship, which takes place Dec. 7-10 at the Hard Rock Hotel & Casino. Tickets are on sale now at HardRockHotel.com and AXS.com. While the seven days of bullfighting will feature outstanding bovine athletes, there are some that are the cream of the crop. Diefenbach also has a solid top-flight team of bulls, from Spitfire to Naked and Afraid to 21 Jump Street. It not only makes for phenomenal competition, but the Las Vegas Championship will be a true showcase befitting the city. Both Diefenbach and Love got into the fighting bull business because of Bullfighters Only. It is allowing both men and their associates to expand on their businesses. “I buy and sell bucking bulls and haul bulls all over,” Love said. “When we saw what the BFO had, we jumped head first into it, and it just exploded. It’s pretty dang cool. Costa was also instrumental for Diefenbach, which is why the retired bullfighter extended the partnership to the bull man. Now he’ll add Vegas to his list. While he focused more on cowboy protection, Diefenbach has high admiration for men who tangle with fighting bulls. “These bullfighters are 10 times the athlete that I ever was,” he said. “That’s what makes BFO so great. We have the greatest bullfighters exclusive to Bullfighters Only.